Beta Systems releases the latest version of its Identity & Access Management Suite. The product family, for the first time presented under the new GARANCY product label, offers many new functions and enhanced orchestration of the individual components. The updated and improved functions of the Garancy IAM Suite specifically address the ongoing changes and emerging requirements that affect all corporate areas of the customer base. Altered or upscaled IT landscapes, new legal regulations and increasingly stringent audits as well as changed user and usage profiles pose challenges to modern companies in the wake of key trends such as digital transformation and Industry 4.0. The high level of flexibility built into the IAM Suite helps companies cope with these dynamic changes in an efficient manner. Corporate IT landscapes keep getting more complex, both internally and outside a company’s boundaries. In order to effectively manage this complexity, the identity management system employed must be flexible enough to support the full range from cloud systems to home-grown specialty applications designed for the corporate data center. The GARANCY IAM Suite incorporates a scalable connector framework that delivers ready-to-use interfaces to standard applications and systems. The new product version allows companies to connect their own applications rapidly and flexibly by means of a universal connection framework. Moreover, new connectors make it possible to integrate various cloud computing systems with the company-wide IAM solution. In order to help companies meet the ever-growing number of legal provisions and other compliance-related requirements, the new GARANCY IAM suite fully covers all these demands by integrating governance and provisioning in a single IAM system. In addition, flexible audit and reporting functions complemented by a new portal-based user and role recertification concept strengthen IT security. Among other benefits, the functions enable companies to meet the EU data protection provisions laid out in the GDPR (General Data Protection Regulation). Users, too, stand to benefit from the new GARANCY IAM Suite in terms of flexible operation: Enhanced options for processing risk assessments or for classifying different user types give companies the ability to precisely and comprehensively control the authorization profiles and management workflows for their own employees, partners and even end customers. 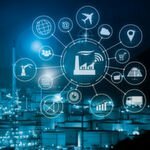 Given this feature set, the Garancy IAM system can even act as a customer identity management system or can be used for the secure management of technical users in the context of Industry 4.0. Finally, Garancy IAM seamlessly bundles all access management-related activities in a central web portal, thus providing an ideal platform for user-friendly and flexible corporate access governance processes. This also includes the support of mobile end devices to satisfy the growing need of users to remain in sync with the office when they are on the road. Beta Systems IAM Software AG is Europe's leading independent provider of identity and access management solutions (IAM) for corporate customers. For close to 30 years, Beta Systems has been delivering secure and efficient workflows to financial services, production, commerce and IT services companies by providing them with software products and support made in Germany. The access control solutions tailor made to the needs of large international organizations incorporate all relevant compliance regulations. Beta Systems Software Aktiengesellschaft (BSS, ISIN DE0005224406) was founded in 1983, has been listed on the stock exchange since 1997 and employs a staff of about 300. Company headquarters are located in Berlin, Germany. The company, together with its 18 self-owned subsidiaries and numerous partners, is active across the globe. More than 1,300 customers all over the world are currently operating over 3,200 installations in more than 30 countries. They employ products and solutions from Beta Systems to optimize their IT landscape and maximize security. The company is a leading mid-sized, independent European software solution provider. 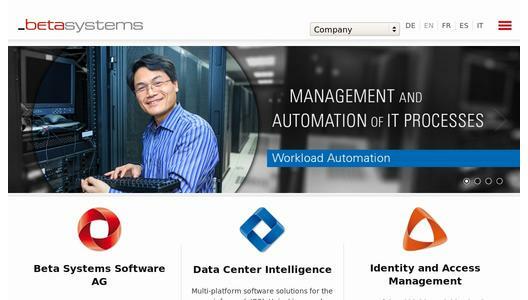 Beta Systems IAM Software AG is a wholly owned subsidiary of Beta Systems Software AG. For more information on the company and its products, visit https://betasystems-iam.com/... .